At the end of last year, we were privileged to design wedding branding and a Save the Date for the lovely Sarah and Edward. After our first meeting with them, it was quite clear as to what they were wanting - Sarah asked for us to meet at Tasha's restaurant as she said their decor aesthetic was exactly the type of feel she wanted for their wedding. In essence: clean, modern, sophisticated, simple with a rustic, natural twist. Their wedding was to take place in June this year in Hillcrest, Durban - picture a crisp and clear Winter's day, and a celebration amongst an avenue of trees. How beautiful? 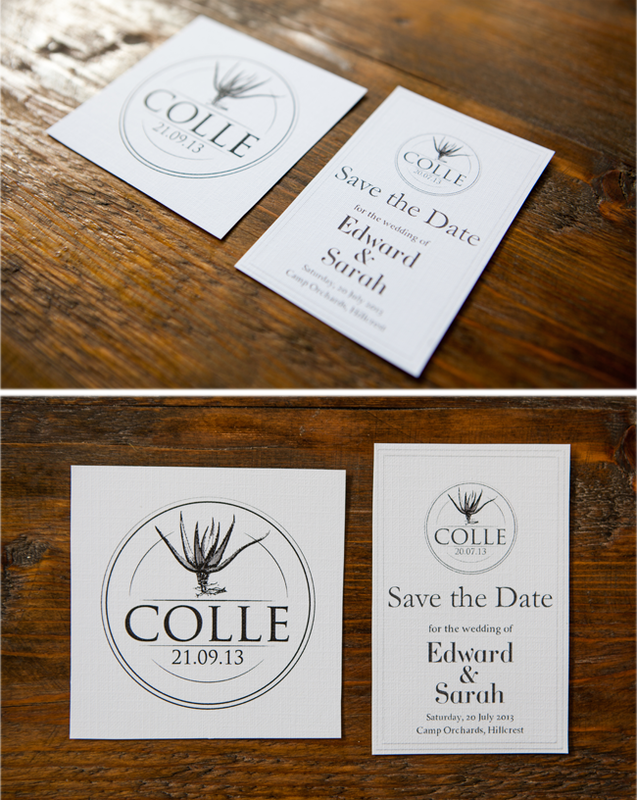 The couple asked us to design them a Wedding Logo, with which they could 'brand' their entire wedding. We went back and forth a few times with the design, until we settled on the beautiful aloe illustration and typography which you can see below. Sarah and Edward wanted a digital Save the Date, so it could be sent to all their overseas guests as well. 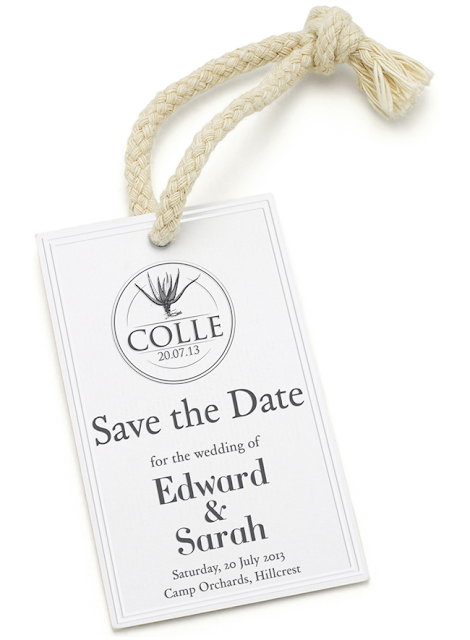 They requested for us to design a 'real looking' tag, with classic typography, an embossed tag with a rustic rope, as well as the Save the Date details below their charming wedding logo. We were so happy with the final product! 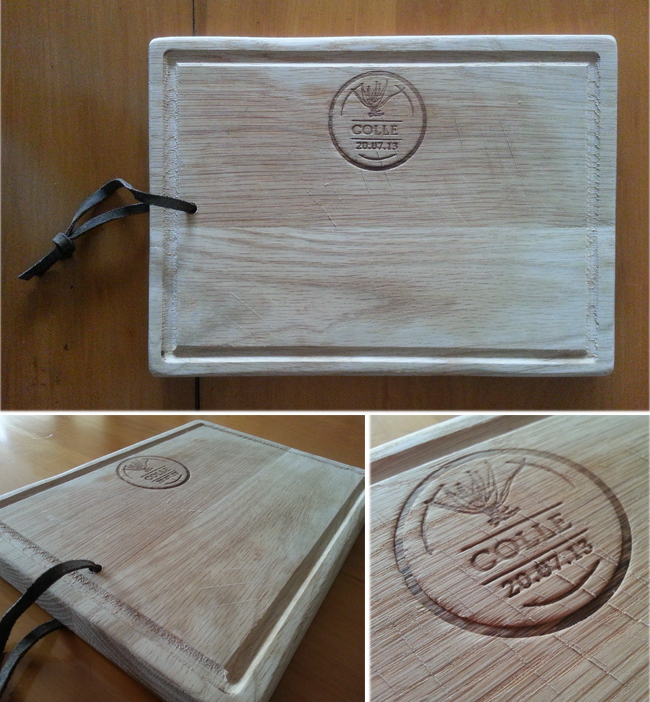 As a part of their wedding branding, their wedding favours included a wooden cutting board which they engraved with their 'brand'. They served the food on the boards, and then the guest's got to take them home. We think they turned out rather beautifully! Congratulations to Sarah and Edward on their wedding and marriage - we hope you have many years of happiness and love ahead of you! Photographs taken by Summertown Pictures and Ruby+Swallow.